Aurora’s Aurora African-American Heritage Advisory Board (AAHAB) will host its 15th Annual Heritage Dinner on Friday, Feb. 22, at Gaslite Manor, 2485 Church Road. Social hour begins at 6 p.m. and dinner begins at 7 p.m. 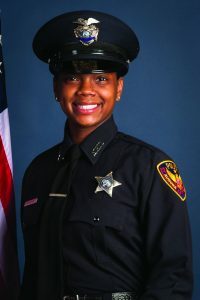 The crowning event of Black History Month, this annual celebration will present scholarships to achieving high school seniors, recognize community members for their contributions to Aurora and fete AAHAB’s 2019 African-American Leader of the Year, Aurora Police Officer Skyy Calice. 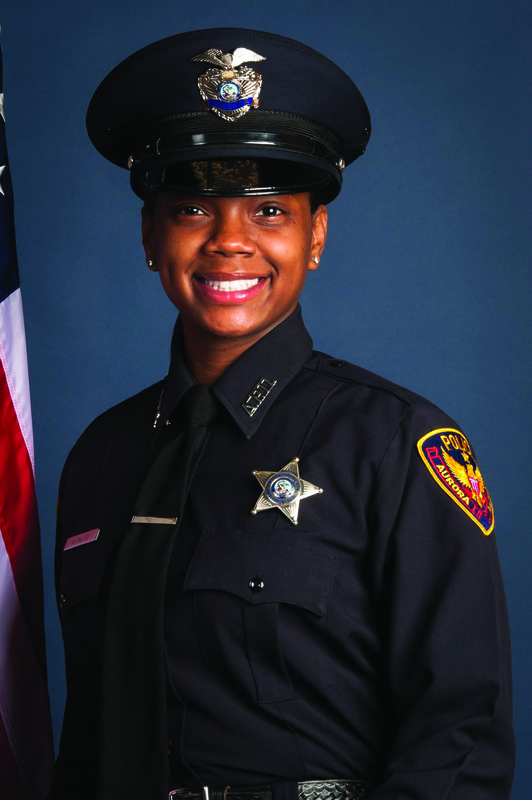 Calice is a Community Oriented Policing Officer with the Aurora Police Department. Her interactions with students, educators and community members inspired her to establish the Girls Run the World mentoring program. In 2018, Calice launched the Girls on the Run 5K Fundraiser, was presented the Chicago Wolves Hometown Hero Award and earned Mayor Richard Irvin’s Mayoral Commendation for Service. Mayor Irvin will also present the 2019 Mayor’s AAHAB Lifetime Achievement Award to Larry Shepard for his decades of work as an educator in West Aurora Schools and as a community advocate. Tickets are $60, with a portion going to the Henry Cowherd Scholarship Fund. Individual tickets can be purchased at www.aurora-il.org/aahab. Tables of 10, special discounted student tickets and tickets by check can be reserved by contacting Dee Hakala at dhakala@aurora-il.org or 630-256-3408. Aurora Police continue to look for witnesses and information surrounding a Near East Side shooting that occurred Jan. 22 in which a 24-year-old Aurora man was critically injured. Police responded to the shooting scene in the 400 block of South State Street at around 8:05 p.m. and located the victim sitting in his vehicle parked in his driveway and suffering from multiple gunshot wounds. Police said it appears that whoever shot the man approached the vehicle on foot and then opened fire. There is no suspect description. Aurora Fire Department Paramedics rushed the victim to an Aurora Hospital where he underwent surgery and continues to be treated. A definite motive has not yet been established but the crime is not believed to be random. Anyone who has any solid information should call Investigations at 630-256-5500 or Aurora Area Crime Stoppers at 630-892-1000. Tips to Crime Stoppers are anonymous, and those who call in can qualify for a cash reward of up to $5000 if it leads to an arrest. State Rep. Stephanie Kifowit, D-Oswego, will bring experience from her service in the U.S. Marine Corps and focus on public integrity to two key Illinois House committees this year, as she has been selected to chair the Veterans Affairs and State Government Administration Committees. Kifowit has previously introduced and supported legislation to assist Veterans and help restore accountability to state government. In response to mismanagement of the Quincy Veterans Home that led to the deaths of 13 residents, Kifowit passed House Bill 4278, which requires public reporting of infectious disease outbreaks at Illinois’ veterans’ homes. Kifowit also passed Senate Bill 3604 to prevent government entities from awarding severance pay to employees who were dismissed for misconduct, as well as limit the amount of severance pay to the equivalent of 20 weeks’ compensation. The legislation was introduced in response to at least two incidents at Illinois colleges and universities in which upper-six-figure severance packages were granted to former presidents dismissed for improper behavior. The Kendall County Sheriff’s Office has been awarded a safety grant from the Insurance Program Managers Group (IPMG). IPMG is the insurance provider for Kendall County. The grant award is for $10,000, which will cover a portion of the cost towards purchasing Taser X-2 stun guns for the Patrol and Corrections Division. The Tasers will also be outfitted with a camera that records both video and audio footage at the time of deployment. The deployment of these Tasers will provide deputies a level of protection when responding to dangerous calls that require a rapid response from law enforcement for confrontational subjects. It is used as a less lethal force option during potentially violent encounters to subdue a suspect and minimize the potential of injury to the suspect, other members of the public, and responding deputies. Sheriff Dwight A. Baird said, “The TASER system will allow our deputies another option to deploy when faced with incidents that could possibly result in serious injury to deputies and citizens. Participate in the first of the Oswego Triple Race Series. Start your spring run season with a unique trail run through the wilderness at Saw Wee Kee Spring Trail Run from 4-8 p.m. on April 13, a single-track run through the blooming forest. The soft path, with its twists and turns, ups and downs, makes for a great natural run. The run is a bib-timed event with a one hour start window. Runners and walkers can begin anytime between 4-5 p.m. The trail run is not open for strollers and dogs. Children 12 and under must be accompanied by an adult for the entirety of the approximately 3-mile race. 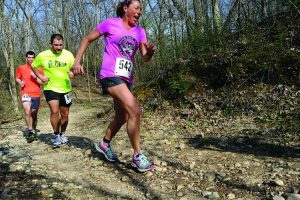 Race fee includes Trail Run apparel, post-race brats and refreshments. If runners wear headphones, give one ear for the course. Tickets are $45. 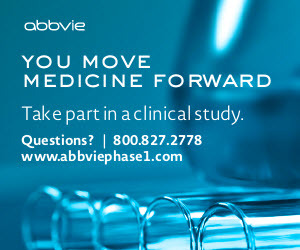 Pre-registration ends March 31. Early Bird Discount ($20 tickets) expires Jan. 31. 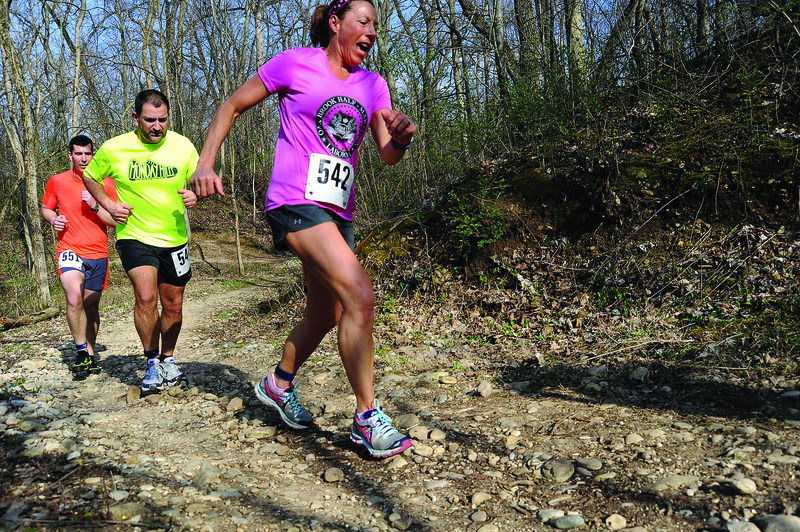 Trail Run day of registration begins at 3:30 p.m. and is $60. There are no refunds for athletic events. Does your child struggle with planning, organizing, and completing tasks such as homework? Join clinical psychologist Dr. Kunal Sachdev from 6-8 p.m. on Thursday, Jan. 31 to learn how parents can help their children be more organized and successful in school. The event will take place in the auditorium of Yorkville Middle School, 920 Prairie Crossing Drive, Yorkville. Time for questions will be provided. Sachdev is a licensed clinical psychologist, having earned his doctorate from Midwestern University in Downers Grove. He has worked in a variety of settings such as hospitals, higher education, integrated care centers, and outpatient clinics. He also serves as a faculty member in the Psy.D. program at Midwestern University and at the Department of Behavioral Sciences at Rush University Medical Center. Sachdev provides empathic, customized, and evidence -based treatment. His practice of therapy is influenced by psycho-dynamic, interpersonal, existential, and cognitive approaches. He has particular expertise in adult AD/HD, anxiety, identity development, self-esteem, depression, cultural issues, and career concerns. Timeout 4 Kids and Yorkville Cheer are collecting stuffed animals to ship to children in California who were affected by the recent wildfires. Bring new or gently loved stuffed animals to the Yorkville High School basketball game on Tuesday, Feb. 12 and receive free admission to the game. Donations may also be dropped off at Yorkville High School during school hours.